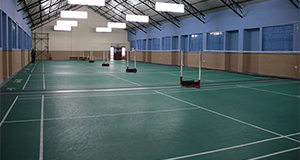 Gopalan Pu college badminton courts laid with top quality synthetic flooring badminton court mat approved by Badminton World Federation. 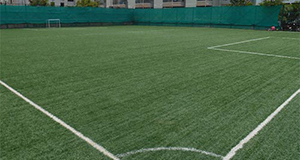 The shorter, faster version of the "beautiful" game is fast catching the fancy of soccer enthusiasts across the world and in Gopalan Pu College. 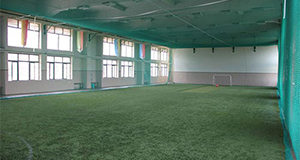 Gopalan pu college has the well laid out synthetic turf,indoor arena where you could play this lovely game during the day/ night at any weather condition. 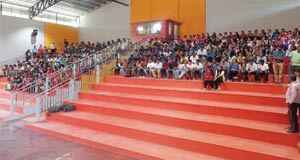 Gopalan Pu college amphitheatre has been constructed with a seating capacity of 600 people and a stage dimension of 970sqft. 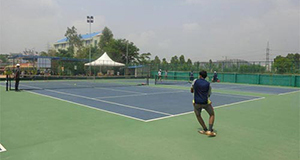 Gopalan Pu college has three state-of-the-art synthetic lawn tennis courts,with easy maintenance and get drained quickly even after the rain. 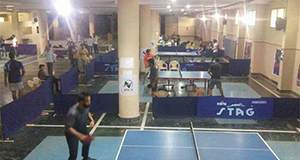 Gopalan Pu college brings the popular game of table tennis accommodated in a huge basement facility. It houses six tables to provide you "Ping Pong" heaven. 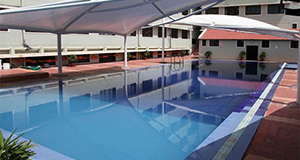 Gopalan Pu college is equipped with an excellently maintained, 25m long outdoor swimming pool.Swimming is an early specialization sport. 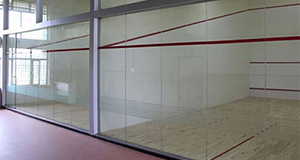 Squash is a racquet sport played by two or four players in a four-walled court with a small, hollow rubber ball.